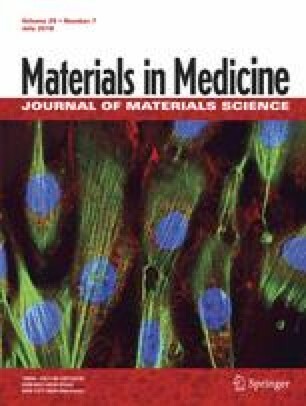 While many types of biomaterials have been evaluated in experimental spinal cord injury (SCI) research, little is known about the time-related dynamics of the tissue infiltration of these scaffolds. We analyzed the ingrowth of connective tissue, axons and blood vessels inside the superporous poly (2-hydroxyethyl methacrylate) hydrogel with oriented pores. The hydrogels, either plain or seeded with mesenchymal stem cells (MSCs), were implanted in spinal cord transection at the level of Th8. The animals were sacrificed at days 2, 7, 14, 28, 49 and 6 months after SCI and histologically evaluated. We found that within the first week, the hydrogels were already infiltrated with connective tissue and blood vessels, which remained stable for the next 6 weeks. Axons slowly and gradually infiltrated the hydrogel within the first month, after which the numbers became stable. Six months after SCI we observed rare axons crossing the hydrogel bridge and infiltrating the caudal stump. There was no difference in the tissue infiltration between the plain hydrogels and those seeded with MSCs. We conclude that while connective tissue and blood vessels quickly infiltrate the scaffold within the first week, axons show a rather gradual infiltration over the first month, and this is not facilitated by the presence of MSCs inside the hydrogel pores. Further research which is focused on the permissive micro-environment of the hydrogel scaffold is needed, to promote continuous and long-lasting tissue regeneration across the spinal cord lesion. We would like to thank Frances Zatřepálková and Jan Lodin for proofreading the manuscript. The study has been supported by 2 grants from the Grant Agency of the Czech Republic 14-14961S, 17-11140S, the Operational Programme Research, Development and Education in the framework of the project “Centre of Reconstructive Neuroscience “, registration number CZ.02.1.01/0.0./0.0/15_003/0000419 and by the grant from the Ministry of Education, Youth and Sports No. LO1309.